The first time I wore a kimono I was ten years old. I had been catapulted into the humid Japanese summer on a school exchange. Everything felt surreal and vivid. In a small mountain town during Tanabata, star festival, I was dressed in a pink and purple kimono by my host family, and we celebrated with the rest of the village, lighting fireworks over the rice paddies and eating watermelon. 20 years later, I returned to Japan. This time, it was winter. Under the Christmas lights of Kyoto, young women sashayed by in blush-pink velvet palazzo pants. Business men fell asleep on late-night commuter trains and young couples and families dressed in traditional kimonos, white socks and sandals thronged from stations to temples at all hours. 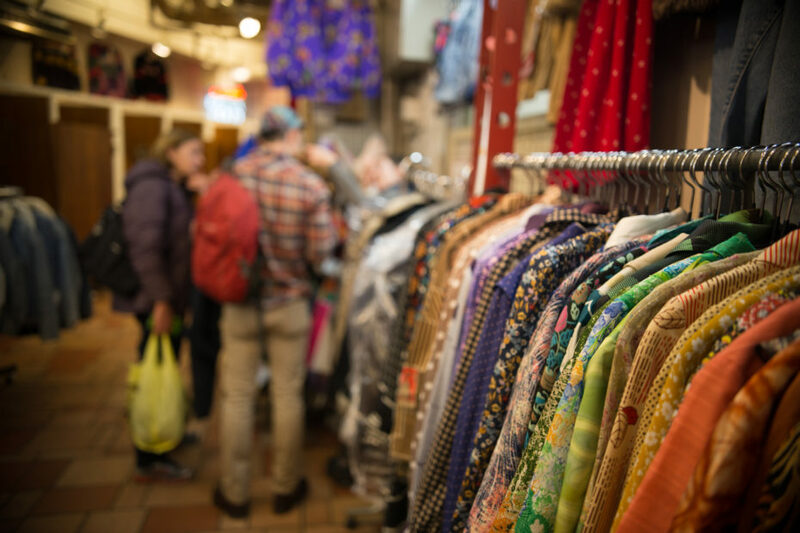 At Flamingo, a vintage store in Tokyo, I fell in love with two kimonos– a white and grey striped haori (kimono jacket) and a fuchsia, floral-patterned silk short-length kimono. In the moment, it felt simple. They were beautiful, I imagined myself looking graceful and avant-garde wearing them over jeans. So I bought them. But even then, at the back of my mind, I knew I wasn’t a child anymore and that wearing a kimono was now a more complicated thing. A thing that could evoke uncomfortable questions of identify and culture. When I returned home to Australia, I started to wonder whether I could, or should, wear my kimonos. Flamingo vintage store in Tokyo, where I bought my Kimonos. We live in an age in which cultural appropriation generates more scrutiny and debate than ever before. Renowned fashion designers are regularly accused of cultural theft when they use design elements from other cultures; Stella McCartney’s West African designs, Mark Jacobs’ dreadlocked runway show and Chanel’s $2,000 boomerang. But the fashion choices of ordinary people are also being questioned; for example, wearing hoop earrings has recently come under the spotlight. 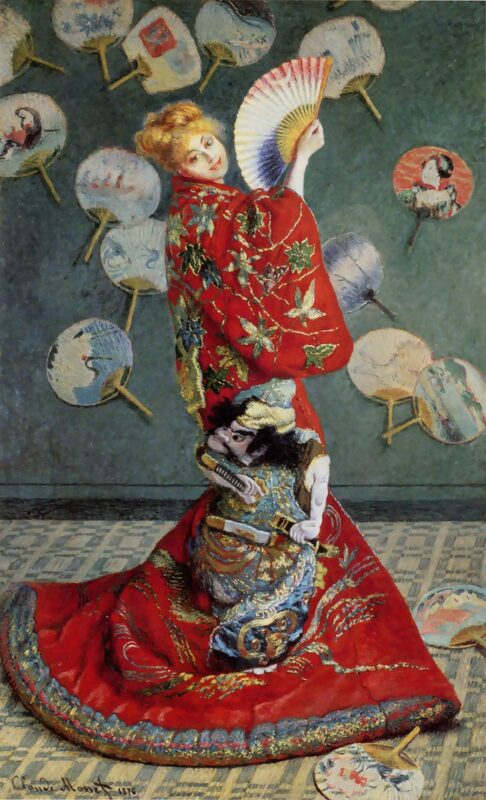 Claude Monet’s 1876 painting La Japonaise, Madame Monet en costume japonais. In another example, in 2013, Katy Perry’s Geisha-inspired performance at the American Music Awards, was called out for “the white fetishization of Asian women—something Perry doesn’t have to deal with when she takes off her costume.” But in Japan, the response seemed to be more mixed. In some fascinating vox pops with an admittedly small sample size of young Japanese interviewees, there was a relaxed, philosophical response to Katy Perry’s performance, which was viewed as a sort of cultural exchange (if clumsily executed). Her choice to dress as Japanese was seen as amusing and even mildly flattering, rather than offensive. So why are many Japanese people so accepting of the appropriation of the kimono? Is it possible that Japanese society is more open to their culture being borrowed and riffed upon because of their relative position within the global power hierarchy? Perhaps Japanese people feel that their culture is on a more equal playing field with western cultures, and are more likely to perceive their culture as influencing rather than being stolen? After all, why should Western clothing be the norm, in a globalised world? Doesn’t a Japanese design that is fluid, versatile and elegant have every right to vie for its place amongst jeans and tailored suits and the mini skirts? In truth, fast fashion has well and truly embraced the kimono recently, with every second person wearing a kimono-inspired jacket from Zara. Is it more or less ethical to wear the real, Japanese thing? To say that every time a western person wears a kimono it is cultural appropriation assumes that the culture being borrowed from is the victim – passive and disempowered. The assumption that kimonos are being ‘stolen’ from Japan by the more powerful ‘west’ fits the ingrained narrative of the western world as ‘on top’. But for people whose cultures have been more marginalised or oppressed, for example minority groups in western societies, or Indigenous cultures, or countries still carrying the wounds of colonialism, cultural exchange is inherently more fraught. If you don’t feel your culture is always respected and valued by your society, it would feel like a kick in the guts to see style that you identify with being suddenly elevated to high fashion when a white designer snaps their fingers or when the dominant white culture decides it’s trendy – for example the wearing of Hindu bindis at festivals. If you have been harassed because of how you look, or dress, the borrowing of your cultural dress will inevitably feel like another form of mockery, rather than a complement. If we lived in a world that was free of racism and everyone lived in a harmonious, multicultural rainbow, I think people would be much more relaxed about their cultures being adopted and borrowed. There would be more trust. But we’re not there yet. I wanted to believe there was a more respectful, genuine way of borrowing from Japanese culture than Katy Perry’s performance. But maybe I was just looking for excuses to justify my fashion choices? Was there ever a ‘good way’ for a western person to wear a kimono? Well as it happens, in Japan there is actually a movement to revive the kimono. 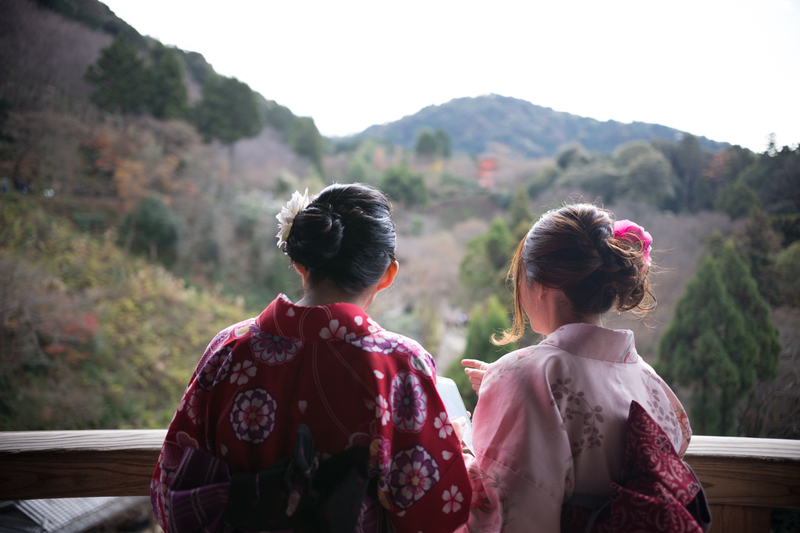 In Kyoto the Japanese National Tourism Office has created an incentive called the ‘Kimono Passport’ to promote the dying tradition of kimono-making, offering discounts to Japanese citizens and foreigners if they wear a kimono to a temple, restaurant, shop or tour. 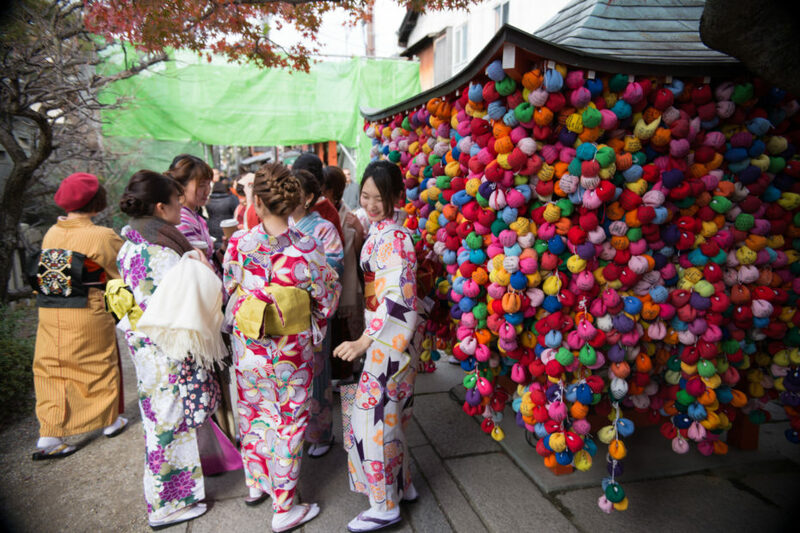 Visitors are encouraged to wear kimonos in Kyoto’s historic districts. Seen in this light, Japan is deliberately promoting kimonos and Japanese fashion design to the world. So it seemed that I had a greenish light to wear my kimonos. But if anything, I was more conscious of cultural appropriation than before. There are plenty of people who vociferously defend their right to wear what they choose regardless of cultural sensitivities. But I wonder whether taking this approach is based on a blindness to history, and to other people’s feelings. Hundreds of years of colonialism and oppression, plus ongoing racial inequality and prejudice makes some people a little sensitive to cultural appropriation. Is this really so surprising? Maybe it’s less about the right to borrow creatively from other cultures as we see fit, and more about the responsibility to borrow sensitively, respectfully and fairly. As globalisation accelerates, we are exposed to different worlds more often. This is an incredible opportunity to be part of a fusion of fashion, music, food and tradition, and the evolution of new forms of expression. But we have a choice; to share in a meaningful way that helps us connect and learn. Or to simply take, without asking. To create only superficial fusions of culture. There’s not always a rulebook, or clear thresholds. But we’re treading new ground towards a more connected world and we just have to feel our way as we go. It’s inevitable we’ll make mistakes. We will offend people. And when that happens, it’s ok. We can listen and we can try to understand. Having emerged from the rabbit hole of the cultural appropriation debate, I do wear my kimonos. Why? Firstly, because based on my research, I think that most Japanese people would be cool with me wearing them. Secondly, because I have not exploited a marginalised culture by buying them or wearing them. Thirdly, because I wear them respectfully – I’m not ‘dressing up’ or pretending to be Japanese. I’m not mocking Japanese culture. And fourthly, because I credit kimonos as being a unique and beautiful Japanese design. I acknowledge and celebrate their origins. In a way, fashion is the most superficial layer of cultural interchange. But it’s also the most visible, the most symbolic. What we wear can mean nothing, but it can also mean everything. It can reflect truths about our world, and it can be a tool for reflection. My kimonos have taken me on an unexpected journey, and when I wear them now, they embody everything I’ve learnt, and everything I have yet to learn. Thanks to my friend Virginia for the conversations that inspired this post.